Options: 3"x5" 4"x4" 4"x6" 4"x24" 5"x8" 6"x10" 8"x10" 8"x12" 9"x12" 10"x14" 10"x24" 12"x16" 12"x18" 14"x18" 15"x18" 18"x18" 18"x24" 22"x24" 24"x36"
> The transparent metallic static shielding bags provide Faraday Cage protection and visibility for highly - sensitive components. 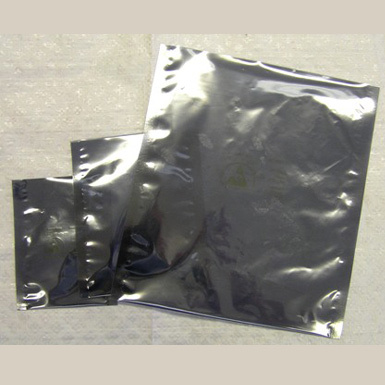 > These bags meet the electrical and physical requirements of ANSI/ESD S541, EIA 625 and are ANSI/ESD S20.20 program compliant. > Bags are tested per MIL-STD-3010 4046 and ANSI/ESD STM11.11.